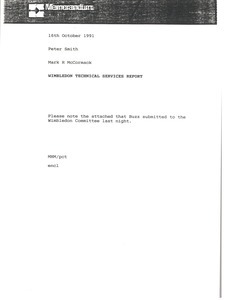 Concerning the attached Wimbledon technical services report. 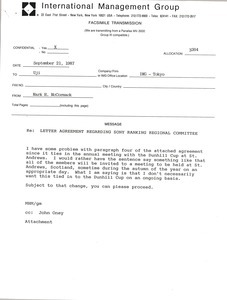 McCormack writes regarding the agreement with Sony Ranking Regional Committee. 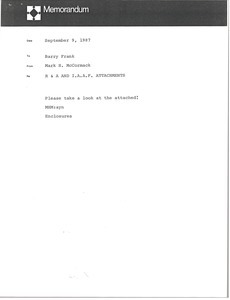 He sends faxes relating to this subject. 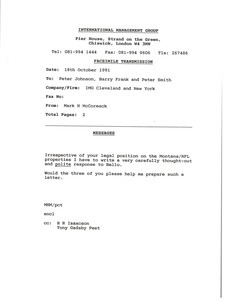 Forwarding a fax concerning the R and A and I.A.A.F. 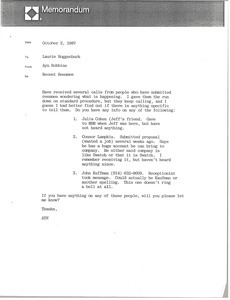 A proposal for two videos for the R and A have been set forth. 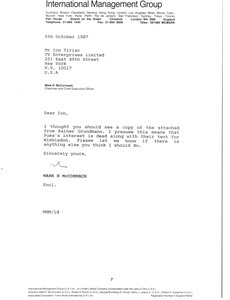 Concerning the attached telex from Rainer Grundmann, regarding Puma's lack of interest in Wimbledon clothing logos and marquees at Wimbledon. 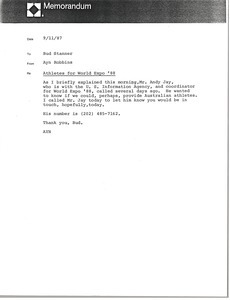 Robbins writes regarding athletes for the 1988 World Expo. 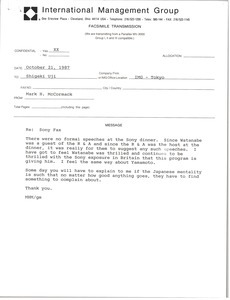 McCormack writes regarding the Sony dinner. 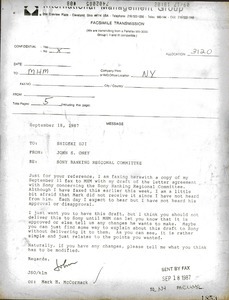 Oney writes regarding the Sony Ranking Regional Committee and sends faxes. 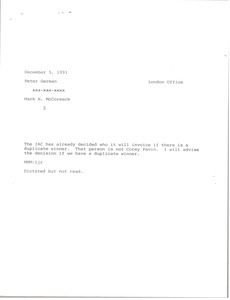 Discussing the IAC and the event of a duplicate winner.